If the XFL was rebooted, which current NFL players would we love to see play in one of the most ridiculous leagues ever? Earlier this week ESPN aired their latest 30 for 30 documentary, This Was The XFL, and it brought back some memories. Mostly memories of confusion and disappointment, but it was fun to see what actually happened behind the scenes. For those who may not remember the XFL and/or did not watch the documentary, the XFL was a football league created in 2001. It was basically football but with less rules and more violence. It was kind of like the NFL with a hint of WWE. At least that’s how it was portrayed. Instead, the game itself was virtually the same other than a few gimmicks here and there. Due to rapid advancement from the league’s creation to its launch date, the players, coaches and teams had very little time to prepare. As a result, the product on the field was sloppy and embarrassing. The league was discontinued after just one season. The XFL wasn’t all bad. The league allowed quarterback Tommy Maddox to showcase his skills and he was the league’s MVP. From there, he went on to play an extra five years in the NFL. Rod “He Hate Me” Smart created a nickname/phrase so popular that it’s still used today. Not to mention, Smart’s popularity and play in the XFL helped earn him a spot on a NFL roster for five seasons. However, the XFL would need to overcome some improbable obstacles and revamps in order to be resurrected. Yet it had me thinking if it somehow was, what players would I want to watch in the XFL? What players would flourish in a football setting with less rules and in an environment where self promotion was encouraged? There are a ton of players in the past that could certainly headline the league (Terrell Owens, Chad Johnson) but for the sake of this list, we are going to stick with players that were active (sort of) for the 2016 season. On the field, Aqib Talib is one of the best cornerbacks in the NFL. In fact, Pro Football Focus named Talib the best coverage defender of the 2016 season. There’s no denying he’s amazing at what he does and he has a long list of credentials to back it up. Unfortunately, Talib also has a long list of off-the-field incidents too. As a rookie in 2008, Talib got into a fight with teammate Cory Boyd at the Rookie Symposium. In 2009, he punched teammate Torrie Cox in the face. Later that year, he was suspended one game by the NFL after allegedly punching a taxi driver. In 2011, Talib was charged with aggravated assault with a deadly weapon (charges were later dropped). In 2012, Talib was suspended four games for taking PEDs and, in 2016, Talib accidentally shot himself in the leg. 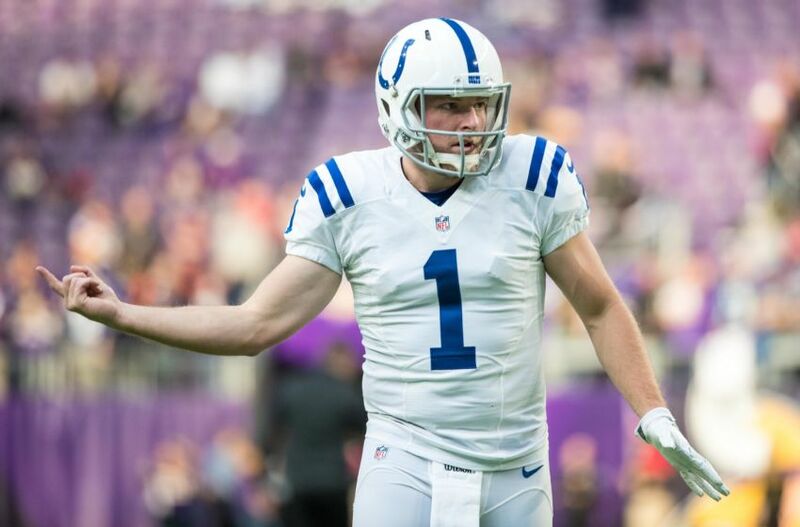 On the field, he was suspended for one game in 2015 after poking Indianapolis Colts tight end Dwayne Allen in the eye. In 2016, Talib famously snatched the chain of Oakland Raiders wide receiver Michael Crabtree during a game (hence the “Deebo” nickname). 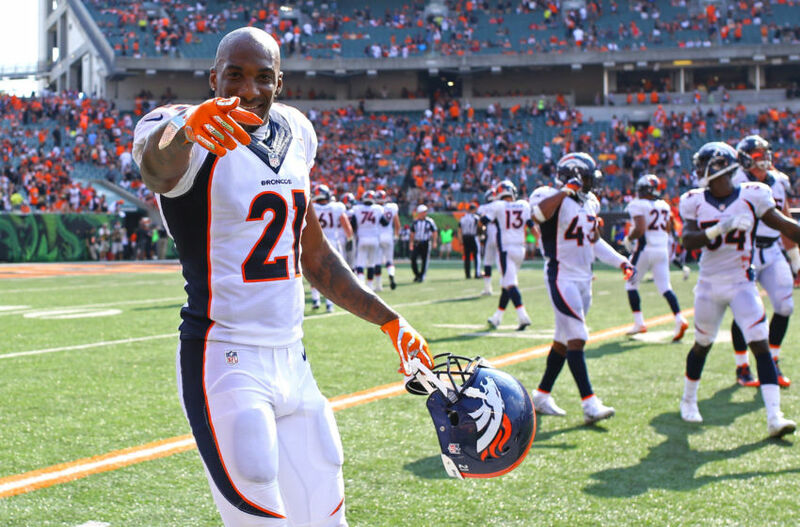 He also told the media after the Broncos and Titans game he was going to “beat Harry Douglas‘ a–” after he took a cheap shot on his teammate and friend Chris Harris Jr.
As you can see Talib is as talented as they come but has also had his fair share of run-ins with the law and league. Can you imagine what this guy would do in a league where the rules aren’t as strict? I’m not 100 percent sure I would want to see, but I am certainly curious. I’m not the creator or founder of the “Kickers are people too” movement, but I am an avid supporter. Football is a game where you want to score points and fight for field position. Kickers and punters are very much a part of that, so why wouldn’t we show these guys respect? As far as these two go, they are at the top of the list. 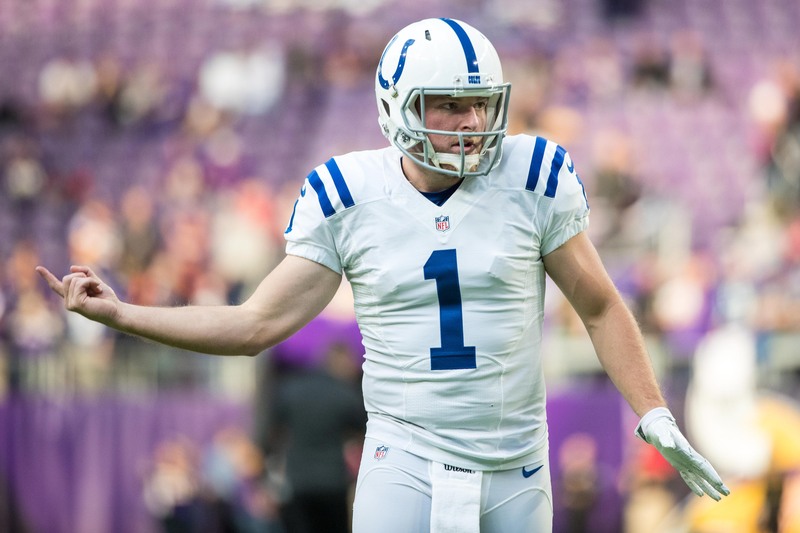 On the field Pat McAfee is a former Pro Bowler and All-Pro. Marquette King was second-team All Pro in 2016 and is almost certain to have Pro Bowl and first-team All Pro honors in his near future. From an amusement standpoint, these two are just as (if not more) entertaining with their celebrations than anyone in the league. Off the field these two are very active on social media and their material is never disappointing (If you missed King’s Twitter beef with Kansas City Chiefs tight end Travis Kelce, I suggest you look it up). Earlier this week McAfee surprisingly announced his retirement from the NFL to join Barstool Sports. In classic McAfee style, he did with a scripted, but rather hilarious, press conference. These two guys could do their normal punting routines in the XFL, but should also have expanded roles. McAfee could also be in charge of halftime reports and interviews while King could be the XFL’s cheerleading choreographer. You know, in the XFL players were encouraged to date the cheerleaders. Just saying King, just saying. At 5-9 and 185 pounds, Steve Smith had no business in the NFL. However, his work-ethic, drive and determination helped made him (in my opinion) a future Hall-of-Famer. During that process, it also created a bully. In his 15 years in the NFL, Smith was one of the baddest dudes around and did not back down from anybody. His bully mentality might have regrettably went too far on occasion (Ken Lucas, Anthony Bright), but it’s a part of who Smith is. He’s a fierce competitor who is driven by his expectations and the naysayers who doubted him. I could go on for about 100,000 words discussing and describing all the times Smith punked, embarrassed and destroyed his opponent. Yet, I’m not going to do that. The reason is, I’m sure many of you already have a few of those moments in your minds already. If for some reason you don’t, go grab some snacks and go to Youtube. Smith tiptoed the line throughout his entire NFL career, and sometimes he may have stepped over that line. In the XFL, the league was depicted as not having a solid line. In that type of setting, I would love to watch what Smith would do to his opponent. His actions, words, celebrations, outbursts and interviews would be cinema gold. 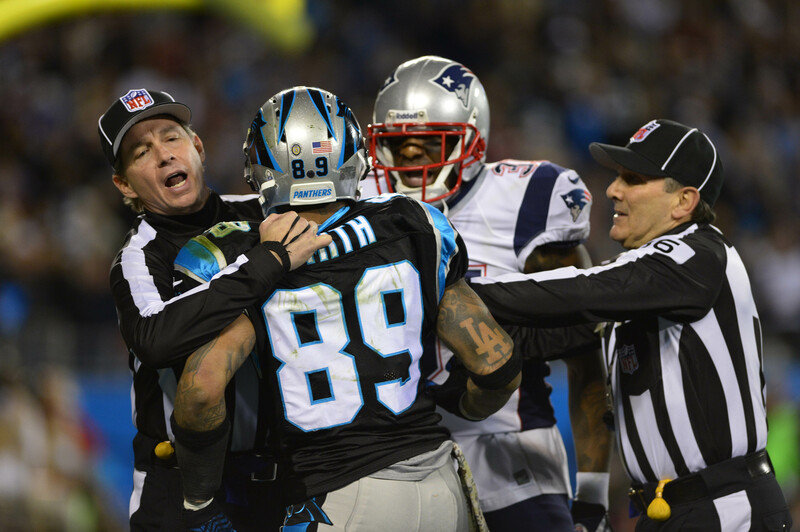 Could you imagine what Smith’s retaliation would be to a player if he hit Smith with a cheap shot or dirty play? Just like when watching a horror movie, I would have to watch with my hands covering half my face. When Patriots tight end Rob Gronkowski isn’t demoralizing defenses on Sundays he seems to living a very active social life. By that I mean he is partying it up, dancing up a storm and living the life of a 27-year-old frat bro. Don’t read that last sentence with any hint of disgust, because there is none. The tone you are sensing is jealousy and envy. 2/4 – Houston Texans: Is Johnny Manziel a Viable Option at Quarterback? 2/4 – Washington Redskins: Should They Bring Back Ty Nsekhe? In the NFL, players are fined for things like dancing and celebrating. The league is unfairly strict. Within the NFL, the New England Patriots organization is the league’s strictest franchise. They don’t like/allow their players to make waves in the media with controversial statements or to bring unwanted attention. 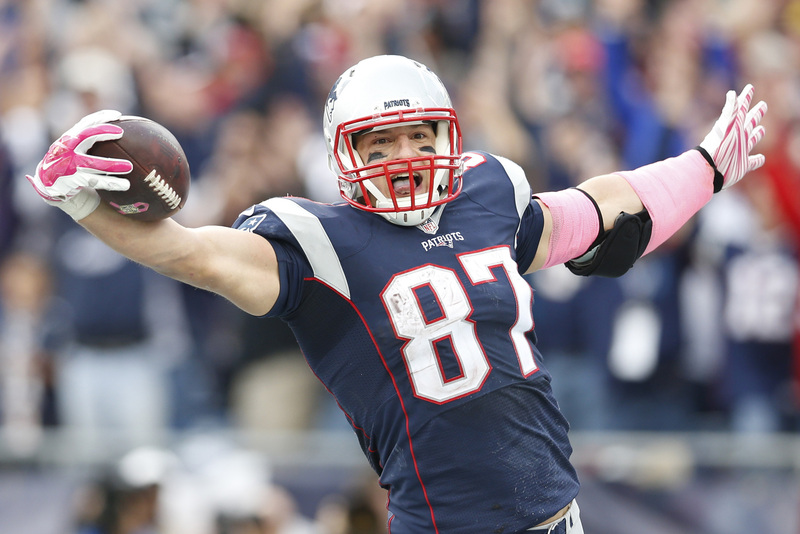 Even within that setting, Gronk still is able to showcase his bright personality. Can you imagine the things he would do in a league like the XFL where the rules aren’t as strict for on a franchise that wasn’t as firm as the Patriots? The celebrations, interviews and off-the-field moments might be more entertaining than the actual game. I don’t want to guess what things Gronk would do after a touchdowns, but I wouldn’t be shocked if a not so well hidden cooler was placed by both end zones before each game. Just like in most football settings, the quarterback is the most important position on and off-the-field. When it comes to off-the-field publicity, there’s not a lot of guys getting more attention than Johnny Manziel and the guy wasn’t even in the league in 2016. Yes, a lot of it is bad publicity, but with how the XFL promoted it’s league back in 2001, I’m not sure if any publicity is bad. Manziel’s sudden and immense popularity grew not just from his football abilities at Texas A&M, but from his antics as well. On the field, Manziel would constantly taunt opponents and showboat after big plays with his famous “money sign.” Off the field, he was arrested and charged with three misdemeanors in 2012 and was kicked out of the Manning Passing Academy in 2013 for allegedly sleeping in after being hungover. 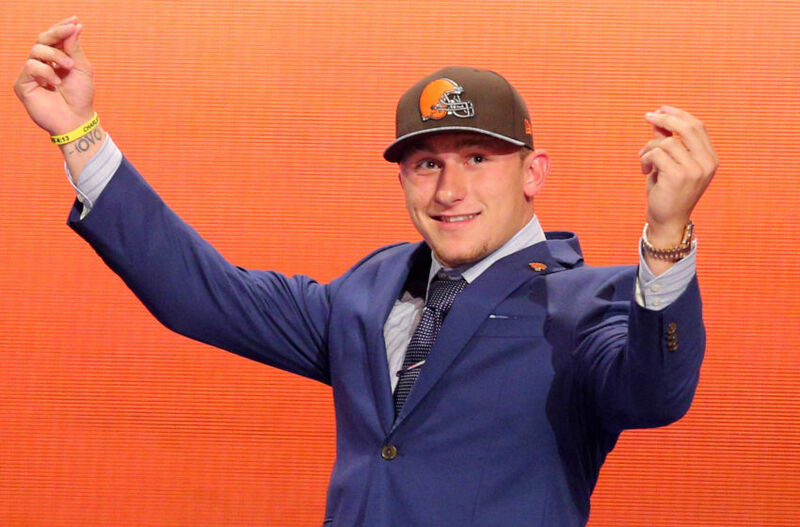 After being a first-round pick of the Cleveland Browns in 2014, Manziel turned out to be a bust. In two years he would go on to complete only 57 percent of his passes and evidently “seven” was not his lucky number. Over the course of 14 games between 2014-15, Manziel finished with seven passing touchdowns, seven interceptions, seven fumbles and finished with a QB Rating of 74.4. He was released in March 2016 and still faces a four-game suspension from the NFL for violating the league’s Substance Abuse Policy. Next: Houston Texans: is Johnny Manziel an Option? 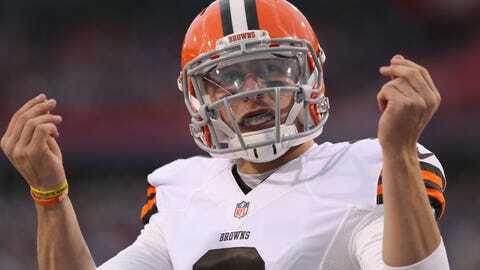 Manziel’s lack of success in the NFL is constantly debated. Is/was he simply not good enough to play in the NFL, or were his constant partying, drinking and drug habits preventing him to reach a starting-caliber NFL quarterback level? 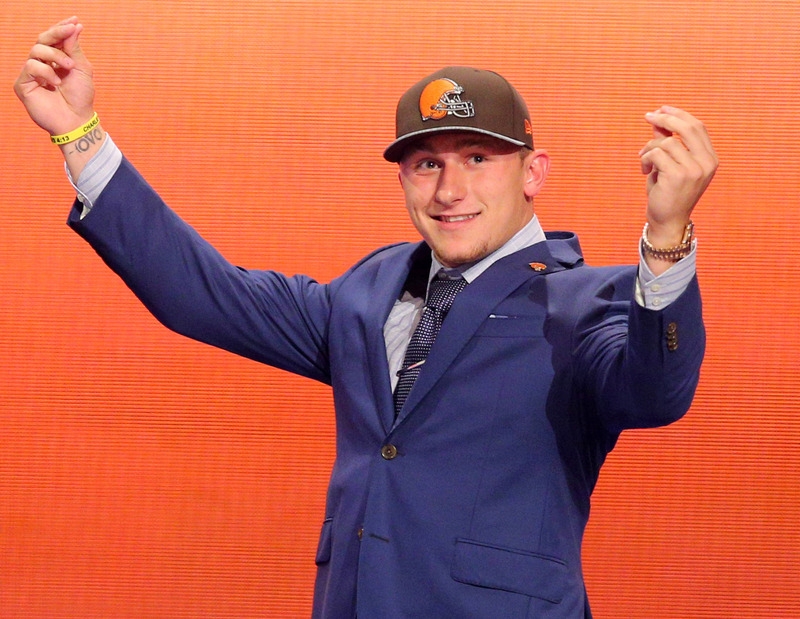 Either way, Manziel’s highly criticized antics would be coveted by the XFL. If Manziel performed well on the field and continued to do questionable things off of it, he could be the face of the league. Think about this: How many viewers tune in every week to watch the WWE to see what happens to the heel? The fact is, it doesn’t matter if you hate or love Manziel. Because either way, you’re tuning into to watch him.